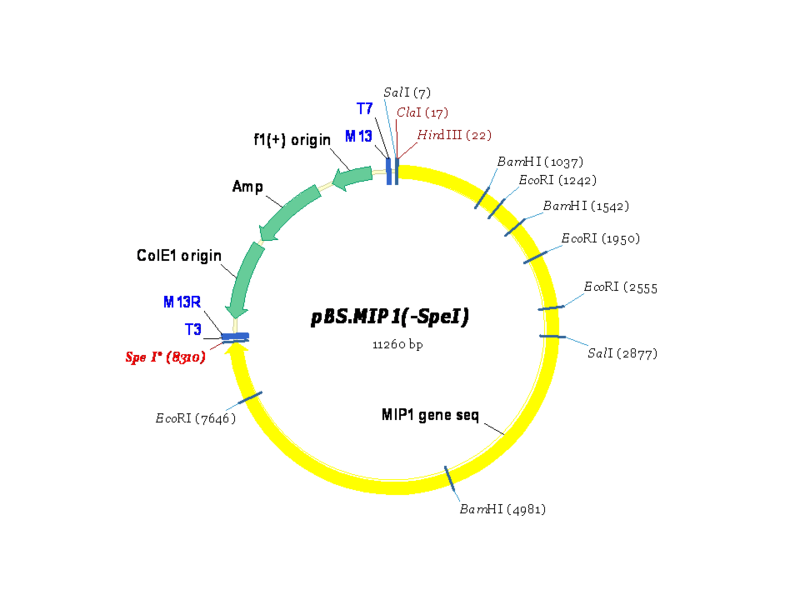 A plasmid subclone of MIP1 containing upstream gene sequences and a site at +12. The Spe I site was introduced by site directed mutagenesis into a clone containing an ~9.2 kb Hind III fragment from MIP1. After mutagenesis, Spe I digestion was performed and the construct was religated removing an ~700 bp fragment of MIP1 thereby creating pBS.MIP1 (-Spe I).